With years of small and large scale renovation experience, Brit Renovations will deliver you a service set above the rest. Owner Rob Coleman will manage the whole project for you, from conception to completion, and do so in an efficient and personalised manner. We have a team of resources to pull on for any project, and some fantastic trades that share our stand-out passion for quality work. Driven by our core principles of Quality and Integrity, we undertake every aspect of our work with the determination to produce the best workmanship possible, from construction methods to fine finishing. And for your peace of mind all work carried out by Brit Renovations is covered by an inclusive guarantee; we stand behind our work with pride. 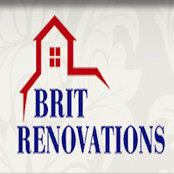 Brit Renovations is licensed and insured, and will provide truly excellent references from our satisfied clients. Give Rob a call today, and get a free quote or consultation on your project. We’ll also invite you to come see some of our work firsthand and meet one of our clients.